Want to improve your workplace communication? 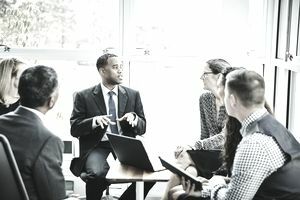 Communication is a significant skill that managers and other leaders and key employees need to work most effectively with colleagues in the workplace. It is a fundamental building block that allows the employee to successfully and productively interact with coworkers and customers. These resources give you the tips and information that you need to become a successful business communicator. When you provide feedback to coworkers, these specific tips will help you clearly and effectively have an impact on performance and relationships. It is an essential skill for powerful communicators. If you receive feedback well, your colleagues and co-workers will be more comfortable providing it. Here are tips on how to receive and understand meaningful feedback. Getting more feedback is good and will have a lasting impact on the quality of your work and performance. Some discussions are more difficult to hold than others. At the same time, for workplace harmony, teamwork, and productivity, difficult conversations are critical. Here's how to hold a difficult conversation successfully. Annoying employee habits and issues usually occur in the eighteen inches of space that employees consider private and personal. So, these are the toughest conversations of all to hold. You can become skilled with these tips. If you want to improve employee performance, think about how you converse daily with employees. You have no better opportunity to reinforce and help improve excellent employee performance. Your daily coaching, feedback, insights, and praise help mold employees' expectations of their own performance. Want to improve your ability to understand and learn from nonverbal communication? Here are several tips for improving your reading of nonverbal information. No matter your position at work, improving your skill in interpreting nonverbal communication will add to your ability to share meaning with another person, our definition of true communication. Need Phrases for Performance Reviews and Other Difficult Conversations? How you approach and verbalize feedback during a performance review can make all of the difference in how receptive the employee is to receiving the feedback. Your goal is to help the employee improve her performance. But first, she has to hear you. Here are phrases she will hear. Do you want to become a great communicator? There are specific practices and skills that will help you achieve this goal. You can enhance your skills with these ten tips. Looking for the fundamentals of successful and effective workplace communication? There are five components to any communication and a sixth that is the overall environment of the workplace in which the communication takes place. You need to get all of them right for effective communication. One of the reasons that communicating in person is so effective is that your body language, your tone of voice, and facial expressions help convey your message. Most of these are not present in texts, IMs, and email even if you use emoticons. Learn about the power of your nonverbal communication and how reading the nonverbal communication of coworkers can make you a powerful communicator. Listening is a key skill in effective communicators at work. When coworkers feel heard out and listened to, they feel as if they are respected, cared about, and that their opinion matters to you. If there is one skill you want to perfect to improve interpersonal communication in the workplace, it is your ability to listen actively and deeply.